DO MALAYSIANS WANT THIS HAPPENING AGAIN? 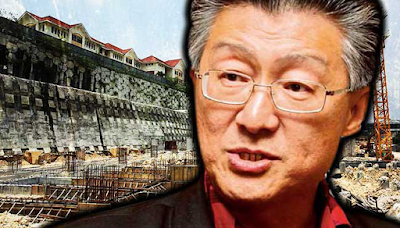 “Malaysians still remember what happened in the ‘80s when scores of housing projects were abandoned, leaving buyers in the lurch,” Gerakan Deputy Speaker Syed Abdul Razak Alsagoff said. He reminded the federal government that the abandoned housing projects woe of buyers had yet to be fully resolved after more than 20 years or two decades. “Scores of the buyers have died waiting for their houses, after ‘losing’ their life savings,” he said. Syed Razak, who is Gerakan’s nominee to contest N.37 Bukit Lanjan in the coming 14th General Election (GE14), said Malaysians could not afford another round of “misery and losses”. “They will most certainly be not so forgiving, patient or accommodating,” he warned. Syed Razak urged the federal government to stop being “fickle minded” in its decisions and governance. “Act in the interest of the rakyat dan negara (people and country). We cannot afford to go wrong on this again,” he added. PETALING JAYA: National House Buyers Association (HBA) secretary-general Chang Kim Loong warns of more abandoned property developments if the government and developers do not take the freeze on luxury property development seriously. He said it could be as bad as the situation in the mid-1980s and during the Asian financial crisis of 1997-2000 when many property developments were affected and projects abandoned. Chang was referring to the cabinet decision to freeze luxury property developments, announced on Nov 19, but which later was clarified as only affecting projects that had not been approved. Then, earlier this month, DBKL said it would go ahead with luxury property projects, disregarding the freeze order from Putrajaya. As a result, many questions remain as to which areas are really affected by the decision. Chang voiced his concerns over the matter in looking ahead to what would be in store in 2018. “Developers think there is sufficient demand. What will happen when there are not enough buyers and the developer does not have sufficient funds to complete the project? “Earlier buyers will all be stuck. Even today, after 20 to 30 years, there are house buyers still waiting for their properties to be completed,” he said. 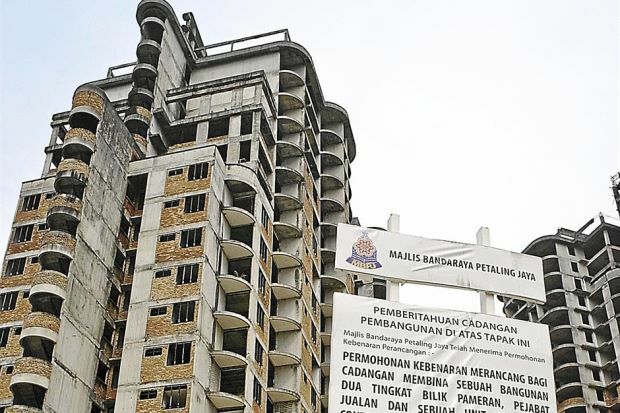 To date, the government has registered 253 abandoned private housing projects in Peninsular Malaysia since 2009. Earlier in November, Urban Wellbeing, Housing and Local Government Minister Nor Omar said 190 of the 253 projects had since been revived and completed. He said the ministry had used RM219.79 million from the government’s fund to restore 32 of the 190 projects. Chang reminded industry players of Bank Negara Malaysia’s (BNM) warning on the big overhang of properties costing more than RM250,000. “In addition, BNM also stated that there are too many shopping malls and office buildings. “But at the same time, there is a big shortfall in affordable properties and this shortfall or mismatch will only get worse. Hence, this temporary freeze is required to correct this imbalance,” he said. Chang added that in light of BNM’s report on the oversupply of properties, the government must carefully plan what sort of development should be allowed to be built as land was a limited resource. While developers might be against this decision, Chang said, they should take a more pragmatic approach and launch properties at lower prices. “This could still spur the economy. What the government needs to do concurrently with this freeze is to give more incentives to developers to build affordable properties. “This is because if developers just put things on hold until the economy recovers, then they will be forced to retrench their staff. “The economy could further slow down as the property and construction sector has many other supporting sub-sectors such as manufacturing, services and logistics,” he said. He said the larger developers could just hold back on new launches until the economy recovered but the smaller developers who could not wait so long might be under pressure to launch properties at a lower price tag. “Developers are not charitable organisations and their main objective is to make profits for their shareholders,” he said. He suggested that in order to increase the supply of affordable properties, the government must work out incentives for developers to build affordable properties. Such incentives, he said, could include alienating land at a lower cost on condition at least 70% of the land was used for affordable properties, lower conversion premiums on condition at least 70% of the land was used for affordable properties, lower tax rates on profits arising from affordable properties, and the cost of laying the last mile of public utilities, such as electricity and water, to be borne by the respective utility companies and not the developer. “The above incentives will lower the cost of the property but not the quality, and can even give higher profit margins to the developer. Thus, the developer could find it financially rewarding to sell more affordable properties. “The freeze on luxury development could pressure smaller developers with less holding power to just launch at lower prices,” he said. Chang warned that if the country was not careful, it faced the risk of a “homeless generation” where the younger generation and the lower- and middle-income segments would not be able to buy their dream homes. “The homeless generation could result in many unwanted social problems. We have called many times for the government to take urgent and drastic measures to prevent the homeless generation from taking root,” he said, referring to the fact that the association had been warning the government for years now. PJ Utara MP says KL mayor's defiance of cabinet directive on projects worth RM1m or more, shows how ineffective BN government is on implementing policies. 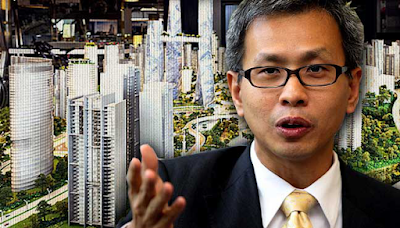 PETALING JAYA: Tony Pua says the decision made by the Kuala Lumpur City Hall (DBKL) to go ahead with luxury property development projects despite a government freeze shows how “toothless” Putrajaya is. The Petaling Jaya Utara MP was referring to KL Mayor Mohamad Amin Nordin’s comments during a meeting with opposition MPs yesterday. “Segambut MP Lim Lip Eng informed me that the KL mayor had said that the ban on high-rise property developments above RM1 million would not be implemented in the Golden Triangle as it would not be feasible. “This confirms two glaring flaws in the government’s ‘hare-brained’ solution for the over-supply of luxury properties in the country. “Firstly, it shows how impractical the ban actually is, and secondly, how toothless Putrajaya is with DBKL’s defiance of a cabinet directive,” Pua said in a statement. He added that this showed an overhaul of government bureaucracy was needed to ensure policies made are carried out to the letter. On Nov 19, Second Finance Minister Johari Abdul Ghani had announced that the government had issued a directive temporarily stopping the development of shopping malls, commercial complexes and condominiums valued above RM1 million from Nov 1. The announcement was made two days after Bank Negara Malaysia (BNM) had released a report stating that supply-demand imbalances in the property market have increased since 2015, with unsold residential properties being at a decade high. “Ironically the BNM report specifically highlighted that in the Klang Valley alone office vacancy rates had increased from 20.9% in Q1 2015 to 23.6% in Q1 2017. “The situation is only set to get worse with an incoming supply of additional 38 million square feet of office space,” Pua said. The DAP national publicity secretary said that the freeze announcement by Johari quickly became a farce when Works Minister Fadillah Yusof contradicted his cabinet colleague by saying the ‘blanket ban’ would actually be applied on a case-by-case basis. “Federal Territories Minister Tengku Adnan Mansor then added that 1MDB-linked projects, Tun Razak Exchange and Bandar Malaysia, would be exempted from the ban because they were ‘pre-approved’. “Finally, cabinet made a full u-turn last week when it said that developers could appeal the ban to a ministerial committee comprising Johari, Fadillah, Urban Wellbeing and Local Government Minister Noh Omar, and Minister in the Prime Minister’s Department Abdul Rahman Dahlan,” Pua said. He added that the remark by the KL mayor however, made a mockery of every statement made by the ministers. “If DBKL can do it, then there’s no reason why all other local councils in the country would need to comply with the directive,” he said emphasising how the situation has reached such a state of “demand and supply imbalance” as mentioned by BNM. “It is precisely because of the cabinet’s impotence, that whatever policy that has been decided upon, good or bad, are completely diluted, if not ignored altogether like the above, by the its implementation agencies. 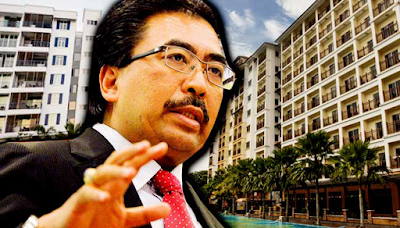 Second Finance Minister Johari Ghani says move will curb oversupply of properties. PUTRAJAYA: Housing developers should check with the government before building properties to curb oversupply of certain properties in the market, Second Finance Minister Johari Abdul Ghani said today. He said this was necessary as there is an oversupply of studio and service apartments at the moment. “It is good for developers to get more information from the urban wellbeing, housing and local government ministry,” he said on the sidelines of an event here, today. He was asked by reporters if the government will take action on developers who abandoned their projects. National House Buyers Association (HBA) secretary-general Chang Kim Loong told FMT earlier that there will be more abandoned property developments if the government and developers do not take the freeze on luxury property development seriously. He had said it could be as bad as the situation in the mid-1980s and during the Asian financial crisis of 1997-2000 when many property developments were affected and projects abandoned. As a result, many questions remain as to which areas were really affected by the decision. 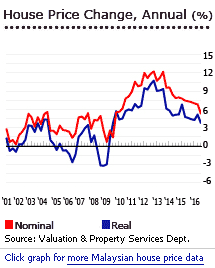 In November, Bank Negara Malaysia (BNM) had responded to reports on the country facing a residential property glut, and warned that it was at the highest level in a decade. According to BNM, the pricing of residential properties at above RM250,000 is the main reason for this oversupply as most Malaysians cannot afford them. “There were 130,690 unsold units at the end of March this year, with 83% priced at above RM250,000. Also, 61% of the unsold units are high-rise apartments, ” Bank Negara had said."